Waist N/A 31" 31.5" 32.5" 33.5"
Classic materials and modern design create the perfect dress for any woman who refuses to sacrifice style in the name of fashion. 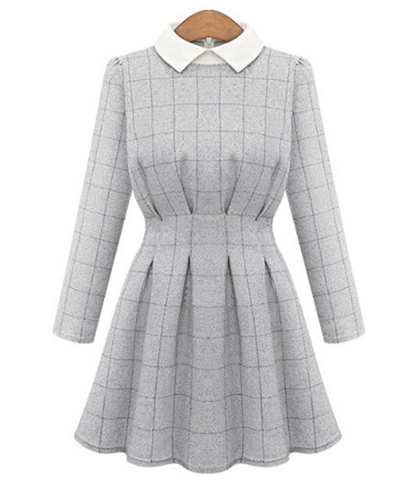 The pretty white collar gives this dress the illusion of layers, and the tiny pleats in the shoulders continue bringing old fashioned charm to this dress. It is the mirrored pleating in the bodice and skirt, along with the length of the skirt that makes this dress fashion forward.